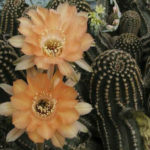 Echinopsis ‘Orange Paramount’ is a semi-columnar cactus up to 6 inches (15 cm) in diameter, with dark green multi ribbed stem with short spines. 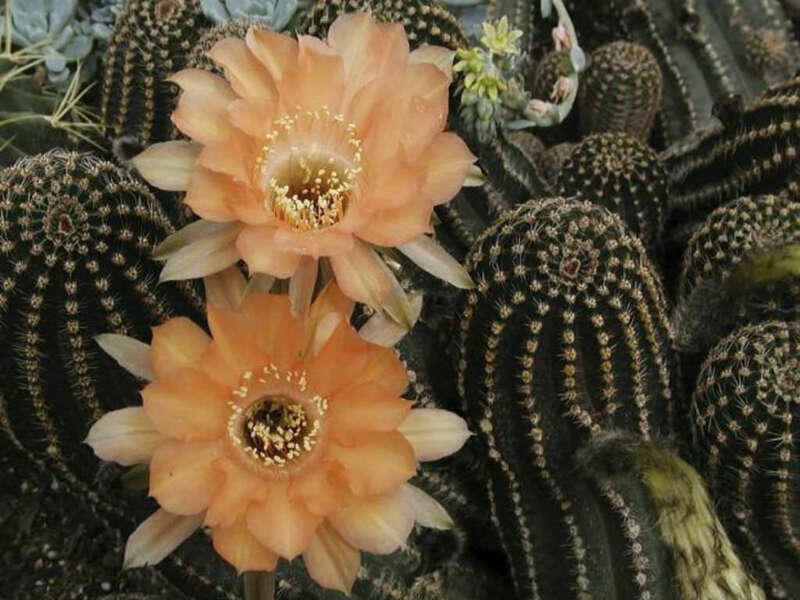 The flowers are trumpet-shaped and up to 4 inches (10 cm) in diameter. 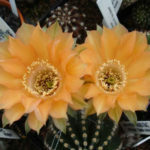 Inner petals are a light orange with a narrow orange to salmon blended tones on petal edges, slight ruffle on petal edges. 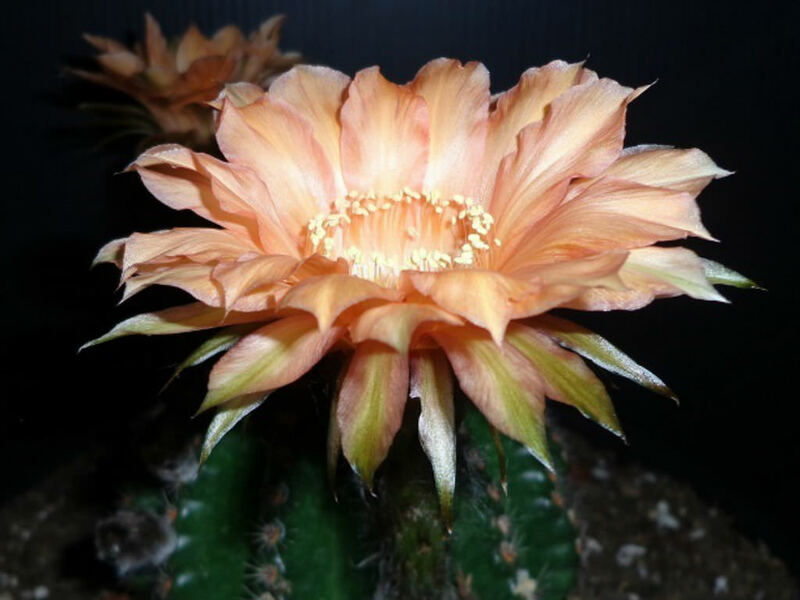 Outer petals same but with a greenish mid-stripe. 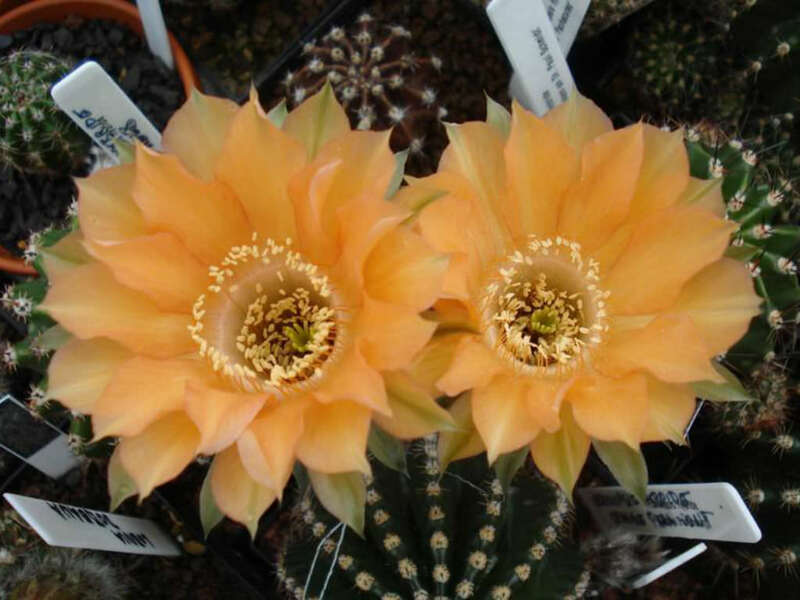 Back petals are shorter than inner, bronze colored with a green overlay, slightly recurving. 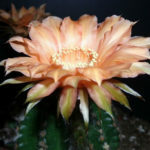 It is a profuse bloomer with many bloom flushes spring thru summer months. 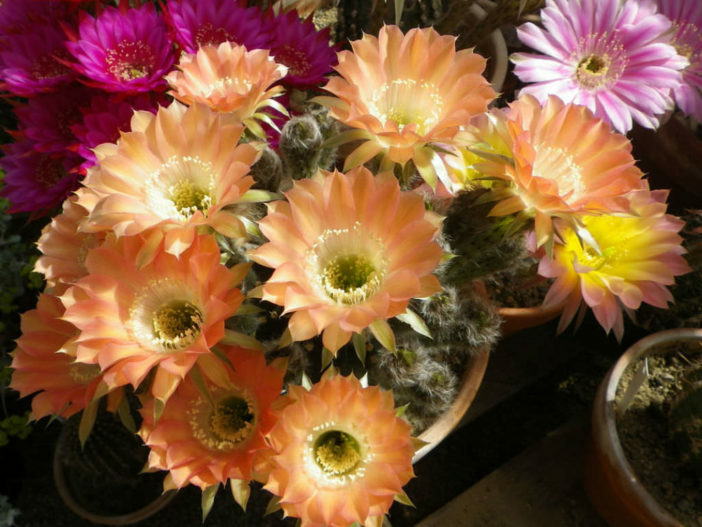 Echinopsis ‘Orange Paramount’ is hybridized by Harry Johnson.